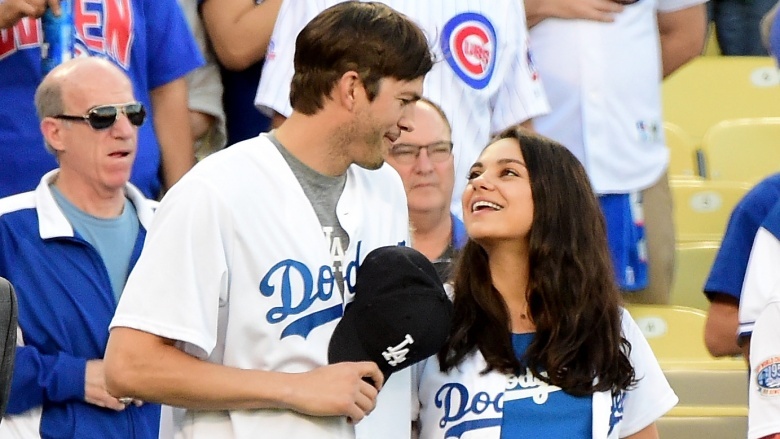 Congratulations to Ashton Kutcher and Mila Kunis! The couple welcomed their second child, a son, on Wednesday, Nov. 30, 2016, E! News reports. The baby's name has not yet been released. The pair are already parents to daughter Wyatt Isabelle, 2. Kutcher, 38, told Late Night With Seth Meyers in October that he was hoping to have a pretty big brood with Kunis, 33. "First of all, our first girl is unbelievable. But also I figured if we had a girl second, [Mila] might give me one more shot at having a boy and now I don't know! It's even money—she might cut me off!" He added, "I want like, 12 of them…we're very excited and very happy." As Nicki Swift previously reported, the Punk'd star accidentally revealed the gender of their new tot on the Today show in early October 2016 when he told a story about explaining to Wyatt that she's going to be a big sister. "She points to Mila and she's like, 'Baby brother!' when she points to the belly," he said. "And then she points to Daddy's belly and says, 'Beer. '…It's intensely scary. How am I going to run after this one?! I thought the first one was exhausting in the beginning." Still, he's nothing but happy about the news. A source close to Kutcher told People, "Ashton genuinely lights up when talking about Wyatt and the little one on the way. Everything about being a father is natural to him." Kutcher is equally stoked about having Kunis as a partner in parenting. "She's the greatest mom," he gushed to Ellen DeGeneres in December 2014. "I go to work every day, and I come home and she's perfect. And it just seems like everything went amazing. And I know that something probably didn't go amazing, but she never tells…it's unbelievable. She's incredible."